This brilliant bright white filament silk floss has a dazzling sheen. 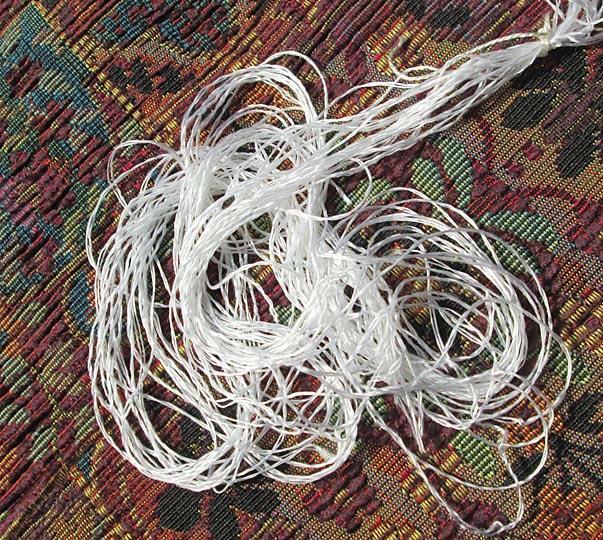 Each strand is a loosely twisted two-ply with a thickness comparable to 1 strand of DMC cotton embroidery floss. 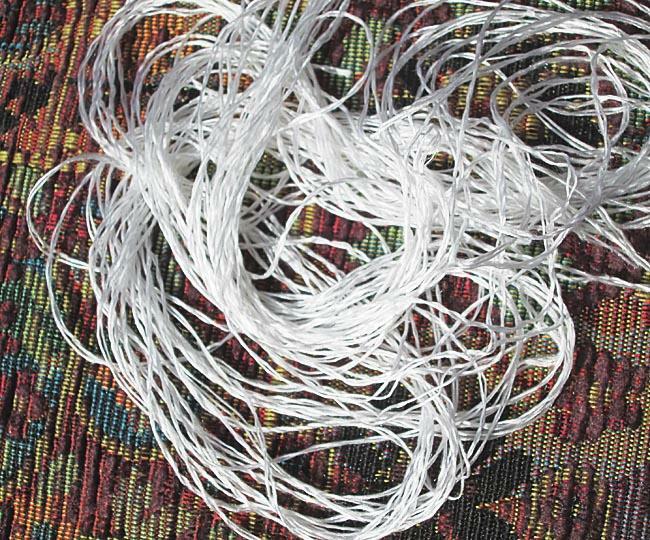 This listing is for 20 cut strands, each strand being 1 yard long, for a total of 20 yards. Note that silk floss can snag or catch very easily on rough skin.